07 November 2018 NEINVER, a company specialised in property investment, development and management and a leading operator of outlet centres in Europe, will be at the MAPIC international retail property trade show to present the latest on two key projects in the European outlet industry: The Style Outlets’ two new centres that will open in Amsterdam and the French Alps in 2020, with a combined gross leasable area (GLA) of 38,000 m². NEINVER reveals the architectural design of Amsterdam The Style Outlets and Alpes The Style Outlets, fully integrated into the local surroundings. Alpes The Style Outlets has successfully been granted all the necessary building permits. Located close to the Swiss border, between Geneva (25 minutes away) and Lyon, with a catchment area of 5.3 million inhabitants, it will have direct access to the A40 motorway that connects Switzerland and France, a vital transport link between the two countries and to popular winter destinations. It will also benefit from the immediate proximity of the TGV station at Bellegarde-sur-Valserine. 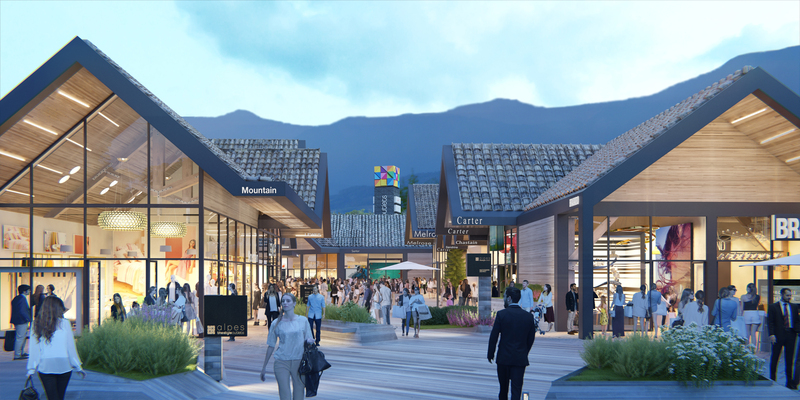 This ultimate shopping destination will be built in an “Alpine village” style, finely tuned to the local landscape, and will feature 19,000 m² of gross leasable area (GLA) and 90 units with an exclusive commercial mix including both internationally and nationally renowned brands. 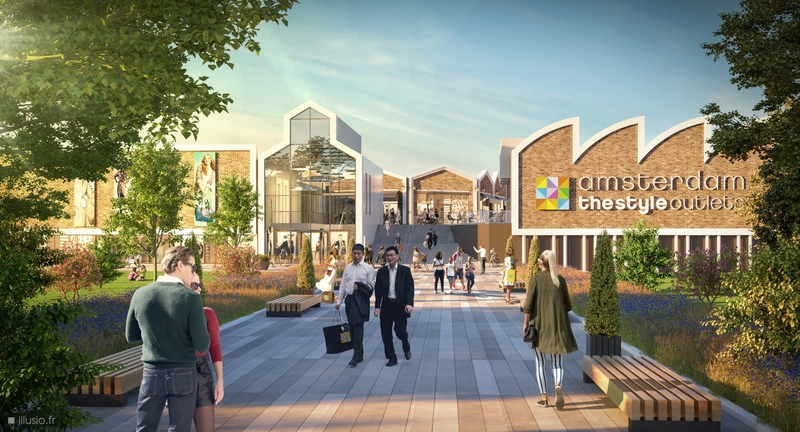 Amsterdam The Style Outlets, set to open in autumn 2020, is currently completing site preparation works—access to the plot, temporary roads—to start construction of the centre soon. This development, which has recently joined the portfolio of Neptune (the joint venture between Neinver and TH Real Estate), will feature 115 stores across 19,000 m² GLA. Strategically located in Randstad, one of the wealthiest regions of Europe, it benefits from easy access to the Dutch capital and Haarlem, and is very near Amsterdam’s Schiphol airport. The architectural design of the centre is inspired by the Dutch landscape and based on two main elements that perfectly match the Dutch tradition: water and bricks. At MAPIC, the NEINVER team will also show the latest refurbishments of various European centres in its portfolio, as well as expansions and the creation of new dining spaces. These include renovation of Vicolungo The Style Outlets, which, following expansions in 2008 and 2010, is now undergoing a €9 million makeover expected to be completed in spring 2019. The renovation of the exterior areas of Roppenheim The Style Outlets (France) includes new greenery, a children’s playground, and outdoor dining areas, among other features. In addition, the refurbishment of Factory Poznan in Poland will bring a new interior design with bright colours combined with large glass windows and metal finishes, rounded out with a new floor, a new playground for kids, new relaxation areas with natural vegetation, and charging points for mobile devices. On 13 November, European Leasing Director Barbara Somogyiova and Marketing & Retail Director Sebastian Sommer will speak at the MAPIC Outlet Summit. This exclusive event, which brings together more than 150 outlet industry leaders, will explore the convergence between the online and offline retail worlds, and will give an overview of the major outlet projects planned for the next few years. MAPIC is Europe’s largest international retail property fair. It will take place from 14 to 16 November 2018 at the Cannes convention centre, the Palais des Festivals et des Congrès. This year’s event, whose theme is “Physical in the Age of Digital,” will feature 800 exhibitors and more than 2,220 retailers spread across 12,000 m².